It’s always an exciting day around here when StudioPress releases a new WordPress theme. Some people like to draw, or paint, or craft — I like to play with WordPress themes, what can I say. . .
Their latest, the Authority Pro theme, includes design elements and tools that make it easier to maximize conversions to meet your business goals. It’s an excellent choice for a freelancer or a solopreneur. After installing it on my sandbox site and playing around with it, I agree. Please be aware, I found as I was doing some research for this post, that there’s another theme called Authority Pro which has garnered tons of bad reviews. It’s a completely different theme, from different designers. 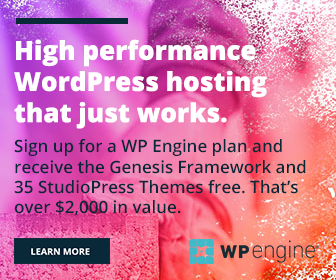 The theme I’m reviewing here is from StudioPress, which offers quality WordPress themes and managed WordPress hosting. Personally, I find the default cobalt blue color a little overwhelming, so that’s the first thing I change. Authority Pro lets you select the default primary color, which is applied to link titles, menu links, post info links, buttons, and more. Here’s what changing the cobalt blue to a softer teal looks like. I like it much better — what do you think? And changing it is easy peasy. Go to Customize / Authority Pro Settings to select whether you want to display the hero image on the homepage, whether to display the featured image in posts and pages, and whether to enable the “intro” style on the first paragraph of a post. The hero image area is the large spot just below the header. It’s the perfect way to draw attention immediately to your most important call to action, usually opting in to an email list or similar. Enable it within the Authority Pro Settings / Basic Settings of the Customizer, then swap out the default text and image in Authority Pro Settings / Hero Portrait Section and / Hero Logo Section. If you like the Intro Style but don’t want to use it all the time, deselect it from the Authority Pro Settings, then apply it manually to specific posts. Here’s another business-enhancing tool the Authority Pro theme provides. Top Banner lets you add a brief message to the top of the page. It will stay there until the reader clicks the X to dismiss it. Sure, you could accomplish the same thing with a plugin, but I’m all in favor of doing anything you can to decrease the number of plugins used, so having it built in is a bonus. Authority Pro theme supports three menus. Social menu floats vertically along the left-hand side of the page. Note that it’s not your typical social media menu which includes icons. You can certainly use it to provide links to Facebook, Twitter, etc., but you can also use it for a more standard menu, like this one. StudioPress’ most recent theme releases have all included a front page built from widgets. It’s extraordinarily flexible, and you can achieve very different looks depending on the number of widgets you place into each area. Authority Pro takes this flexibility a step further. It includes 6 widget areas, starting with the Hero area discussed above. Below that are areas labeled Front Page 1, Front Page 2, etc. What’s interesting is that the configurations for 1-4 are different from Front Page 5, as these two screenshots show. Widget area 5 is a little different. This theme offers something a little unusual — the ability to create a description as well as a title for archive pages. Normally, if you go to a blog page, it says “Blog” at the top, then shows your latest posts, with the newest one at the top. This theme goes a step further, letting you add a description. This is an excellent way to get a better SEO ranking for a blog or archive page. 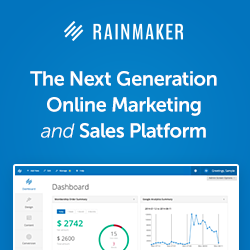 If you sell a service, you’ll like this. Simply select the Pricing template style, then add your pricing table. The exact HTML you’ll need to create a 2-, 3-, or 4-column pricing table is available from the setup guide inside your StudioPress account. With WooCommerce and the Genesis Connect for Woo Commerce plugin, you can build a gorgeous online shop. In short, this is a versatile, good-looking theme with plenty of options to enhance your branding and help you to convert readers into buyers. Included with Authority Pro are two PSD template files for book covers, making is super simple to create a beautiful cover for your own book offerings. See a demo of Authority Pro here. Note: StudioPress is one of my two go-to theme designers. If you click on the link above and purchase, I’ll receive a commission. (Your price is the same either way.) These commissions help me keep the site going, and help me keep my prices low.